Spokane experienced dramatic growth in the first decades of the last century, a time period that coincided with the popularity of the Arts and Crafts movement in the United States. One legacy of that alignment is that Spokane retains one of the country's best concentrations of high quality Craftsman architecture. Craftsman bungalows are especially well represented and can be seen throughout the city. 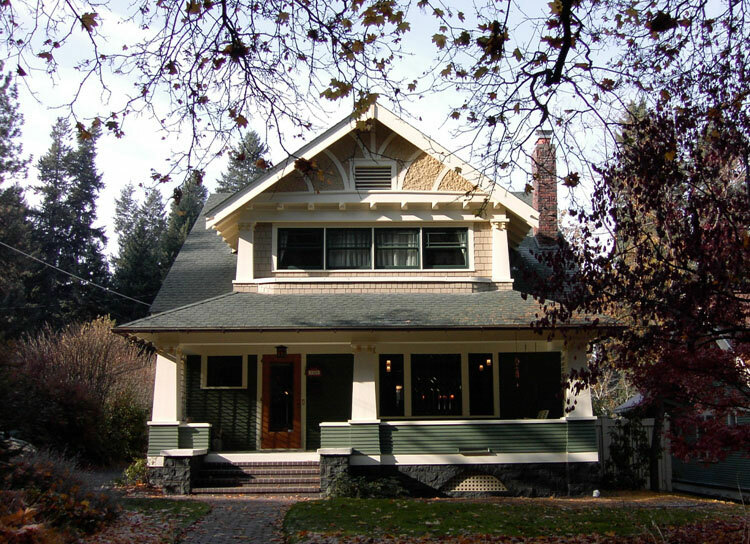 Utilized for its simplicity, readily available materials and affordability, the bungalow form was popular in Spokane, and hundreds of houses were constructed in this form during the first several decades of the twentieth century. Today, there exists a well-preserved collection of Craftsman homes that demonstrates the diversity of the region's stylistic preferences, and also reveals the extent of local participation in this national phenomenon. 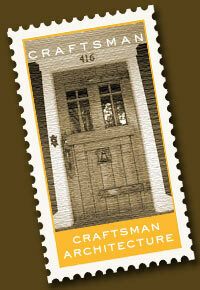 While there is great diversity in Craftsman form and detailing, there are acknowledged characteristic features. Some of these are identified on this diagram of the historic Mack-Kane home and will be easily recognized in the other homes identified on this tour. 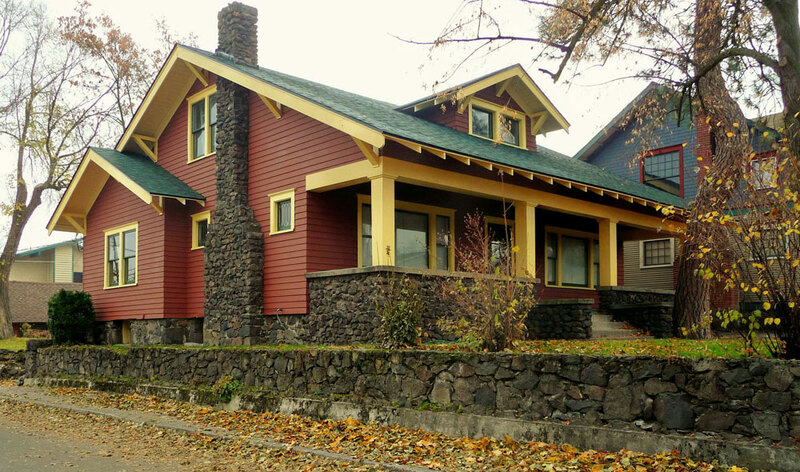 While this tour highlights some excellent examples of Craftsman architecture in Spokane, it is a sample selected from a small geographic area to facilitate the tour concept. 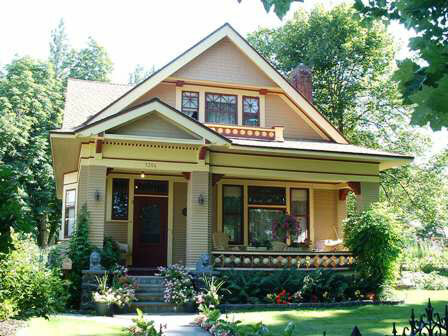 Other fine Craftsman homes are well-represented on the Spokane Register of Historic Places and can be seen in virtually every historic neighborhood in the city, demonstrating the far-reaching influence of the American Arts & Crafts movement in Spokane. Important Note: Please respect private property and view homes from the public right of way. "Simplicity, durability, and fitness for life" Spoken by famed 20th Century American architect Gustav Stickley, these words describe the trend in aesthetics known as the Arts and Crafts movement that became popular in the United States from the 1900s-1920s. Characterized by an effort to get "back to nature" amid the beginnings of urbanization in American culture, this movement functioned in tandem with the City Beautiful Movement and other beautification efforts to foster a creative environment that spurred the production of some of the most beautiful pieces of individual craftsmanship in our nation's history. 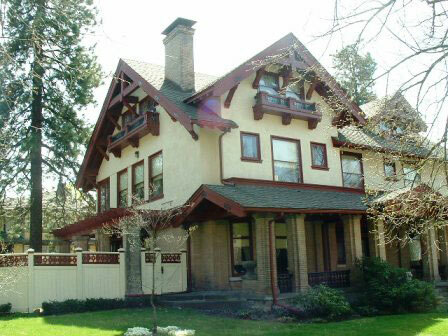 Although the movement originated in England and the Craftsman architectural style was perhaps most popular in Southern California, the Arts & Crafts movement made a significant impact on the architectural landscape of the Pacific Northwest, leaving in its wake a well-preserved collection of Craftsman masterpieces here in Spokane. As an artistic as well as architectural campaign, the Arts and Crafts movement may be understood as an aesthetic reaction to industrialization. Although scholars acknowledge that the movement may have started as early as the middle of the 19th century in England, the trend did not gather strength in the United States until the first decades of the next century, during which numerous landscaping projects, estate buildings, college campuses, and individual homes were constructed. These earliest architectural expressions began to be identified by common traits, collectively known as the Craftsman style, which espoused the simplicity and closeness to nature associated with the Arts & Crafts movement. Although these earliest expressions were often manifest in lavish properties under the care of wealthy owners, one of the most common house forms embellished in the Craftsman style was the humble bungalow. While the origins of this word are ambiguous, the popularized bungalow house form was identified as detached, low-rise, with a porch or veranda, and typically one to one-and-one-half-story high with a basic box shape. This basic structure was meant to convey feelings of relaxation, simplicity, freedom from urbanization and a return to nature. This feeling was often achieved through rustic decorations and the abundant use of natural building materials, especially wood, both in exterior design and interior furnishings and adornments. Often utilizing naturally harvested materials like wood and stone, Craftsman homes employed materials in a way that emphasized inherent natural qualities. Popular architectural elaborations included piazzas, open porches and patios, lattice work, planters, window boxes, and other details that brought the inhabitant into closer contact with nature. As the Craftsman style also emphasizes landscaping, builders often utilized colorful gardens with a variety of plants, trellises, and windowboxes to connect dwellers with the outside world. Introduction written by Jennifer McWilliams, Project Assistant at the Spokane City/County Historic Preservation Office.